August 2014: The New Deadline for the US-Afghanistan Bilateral Security Agreement? The top U.S. commander in Afghanistan sees August 2014 as the last possible date for the bilateral security agreement. On Wednesday, General Joseph F. Dunford Jr., the top U.S. commander in Afghanistan, told the Senate Armed Services Committee that the United States runs a real risk of allowing Al Qaeda and other extremist groups time to regroup and plan another attack on the West should international troops completely withdraw by the end of 2014. The initial objective in the U.S. invasion of Afghanistan back in 2001 was to attack and neutralize those who had perpetrated the devastating attacks of September 11, 2001. Given that, the General’s testimony amounts to an acknowledgement that the U.S. may have to walk away from Afghanistan with no guarantee that it succeeded in changing its status as a safe haven for fundamentalist Islamic terror groups. During his testimony, Dunford acknowledged the precarious status of the Bilateral Security Agreement (BSA) between the United States and Afghanistan. The agreement was prepared and sent to Afghan President Hamid Karzai to sign in late 2013 but he refused to do so on the grounds that it would be a more appropriate task for his successor (and because he felt that a continued U.S. presence in Afghanistan post-2014 was not in the best interests of his country). Apart from Karzai’s recalcitrance, the BSA has mainstream approval in Afghanistan’s political community, having been approved by both the Loya Jirga in November 2013 and more recently by major presidential candidates Abdullah Abdullah, Ashraf Ghani, and Zulmai Rassoul. Dunford added that should Afghanistan’s elections move forward without a hitch and should a new Afghan president be in place by August, the BSA would be signed and the Pentagon could plan for a post-2014 scenario. The Pentagon is currently in the planning stage for two contingencies in Afghanistan: a complete withdrawal (or the “zero option”) or a limited withdrawal with a conversion of a remaining force of 3,000 to 10,000 troops for limited counter-terrorism and training operations as per the terms of the BSA. In recent weeks, the White House, which traditionally preferred a limited post-2014 presence, began to entertain the possibility of exercising a complete withdrawal. The Pentagon, in January, recommended that the U.S. either leave behind 10,000 troops or none at all. Dunford’s testimony notes that the military logistics of withdrawal from Afghanistan necessitate a decision on the BSA at the latest by September. “The risk to an orderly withdrawal begins to get high in September, because of the number of tasks that need to be accomplished,” Dunford notes. The General’s testimony indicates that he is unconvinced that Afghanistan’s security post-2014 is guaranteed given the status of its security forces as they stand currently. He appears convinced that should the U.S. exercise the “zero option” in Afghanistan that the Taliban is certain to return to power. 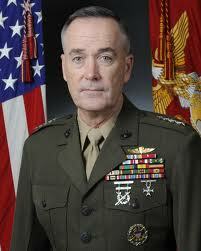 Regional powers appear to concur with Dunford. Russia, China, India, and Pakistan have all publicly supported the BSA and urged Hamid Karzai to sign it. Iran remains the only regional power that has come out against the BSA. At this point, it has become apparent that Hamid Karzai will not sign the BSA during what little time remains in his tenure as Afghanistan’s president. The biggest determinant of Afghanistan’s post-2014 security status now appears to be its general election. For more on the security of Afghanistan post-2014, listen to The Diplomat’s Flashpoints podcast where this week Zachary Keck and I discuss the BSA, the geopolitics of Afghanistan’s security, and more.